Vitamin D is an important nutrient for keeping teeth strong and preventing tooth decay. In a recent review of clinical studies, researchers concluded that vitamin D might prevent half of tooth decay causes among children. Scientists have long known that vitamin D is essential for healthy bones, but until recently, researchers had not confirmed the role of the vitamin in preventing tooth decay. While several dental organizations have speculated that vitamin D plays an important part in keeping teeth strong, this recent comprehensive review found that the nutrient is an important factor in whether or not people were protected from tooth decay. In reviewed trials, researchers increased vitamin D levels in patients through the use of UV light exposure and cod liver oil supplements, which stimulate production of vitamin D by the body and supply the nutrient directly. The finding that vitamin D is important for avoiding tooth decay is accompanied by other discoveries about the role of this nutrient in dental health. For example, vitamin D levels also predict the quality and timing of tooth eruption in children. According to researchers, parents can help their children develop healthy teeth by supporting their vitamin D levels. With enough vitamin D, patients may not need to visit our dentist in Torrance CA as often for fillings and other restorative treatments. 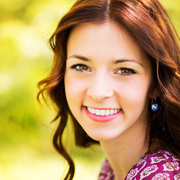 When teeth become seriously damaged, however, patients can contact our expert in root canal therapy in Torrance to learn about endodontic treatments that can potentially save those teeth.